Major League Baseball’s postseason – the best postseason in sports – is here! Yep, MLB’s Division Series, Championship Series and World Series are the ultimate sports showdowns. Substantially better than the NFL Playoffs (which don’t even have an umbrella name!) and Super Bowl. Better than the NBA Playoffs and, yes, even more exciting, and much more meaningful, than the Stanley Cup Playoffs. MLB does a lot of things wrong…but they conduct their postseason almost perfectly. And the perfection begins even before the ALDS and NLDS begin. Baseball’s brilliance begins when two elite teams are tied after 162 games. No goofy tiebreakers. No “Runs-for v. Runs-against” garbage. No “Which team beat the other more times.” Nope. Tied after 162 in baseball? We’ll play 163. It’s not a one-game playoff. It’s another game added to the regular season. When Bobby Thomson hit his “Shot heard ‘Round the World” in 1951, MLB had opted to have the Brooklyn Dodgers and New York Giants play a three-game series added onto the regular season. Thomson’s Giants won the pennant with a 98-59 record. In those days, the regular season was 154 games. Beautiful. Before Atlanta and San Francisco stepped up on Sunday to claim the last two NL postseason spots, MLB had a three-team scenario in-place that included the San Diego Padres. Thirty baseball teams. Only eight make the postseason. Half as many as the NHL and NBA. San Diego won 90 games this season. The Boston Red Sox won 89. Both are out. Exactly the way it should be. Eight teams were better. In the NBA and NHL, all you have to do is finish with more wins than losses and you are in! Ridiculous! What incentive is that to improve? An eighth seed upsetting a top seed should never, ever happen! In any sport! In baseball, it’s just the cream of the crop. 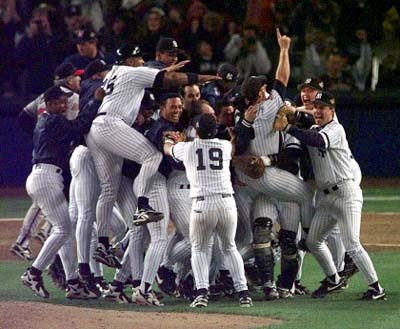 And if you clinch early in baseball, you have a distinct advantage – the way it should be. Those clinching managers can set their rotations exactly the way they want them as the postseason begins. 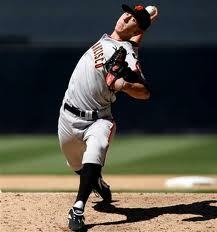 Tim Lincecum will start Game One in San Francisco. CC Sabathia will start for the Yankees in Game One at Target Field in Minnesota. Baseball knows how to showcase its stars, pitchers and otherwise. Joey Votto will get a lot of attention for Cincinnati. So will AL batting champ Josh Hamilton in Texas. Ditto David Price on the mound for the Rays. But the absolute best part of the MLB playoffs is that they don’t drag on too long. How many times have you heard a casual hockey fan say, during the Stanley Cup Playoffs, “Are they still playing hockey at this time of year?” Baseball plays just three rounds. And that first series is a best-of-five. The maximum number of games that baseball’s postseason can see is 41. The NHL routinely plays about 85 games in its postseason. Way too many. Interest wanes. Interest should NOT wane at the most important part of the season. So, clearly, the baseball playoffs are nearly perfect. 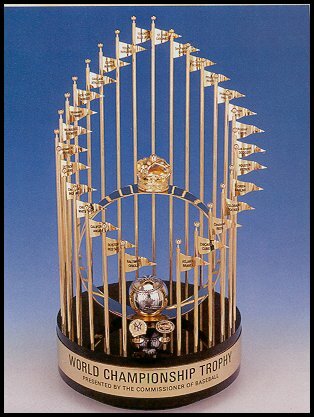 Now, if we could just get them to begin World Series games a touch earlier, bring back day games on the weekend and replace that horrifically designed championship trophy! My boys do it again….lets go Yankees. To those yankee fans who questioned the outcome of this game, I find your lack of faith disturbing. 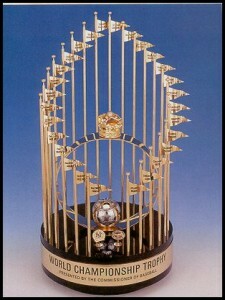 Say whatever you want, but the Giants will win the World Series! The 49ers have been the biggest flop in the NFL, redemption time for SF! Ah, Timmy is the man. I love watching him shut down batters. I’m hoping he gets his first World Series ring very shortly. Go Giants!